You can find the correct seat position for children aged between 4 and 12 years or weighing from 15 to 36 kg with the youngster plus classic child seat in titanium grey/black. The backrest is individually adjustable to your child&apos;s height; width adjustment is automatic when the child seat is adjusted to the child&apos;s height. It also features integrated fastening points to ensure optimal protection. 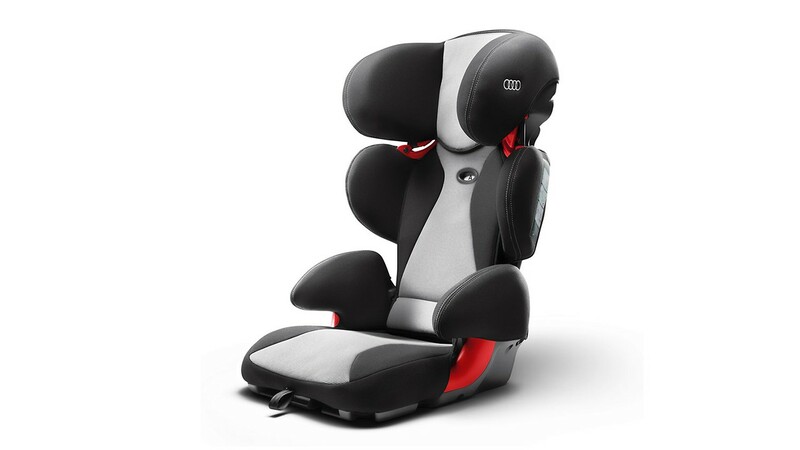 The Audi youngster plus child seat satisfies the ECE-R 44/04 safety standard valid across Europe in all points and has also successfully passed numerous tests such as front and side crash tests.